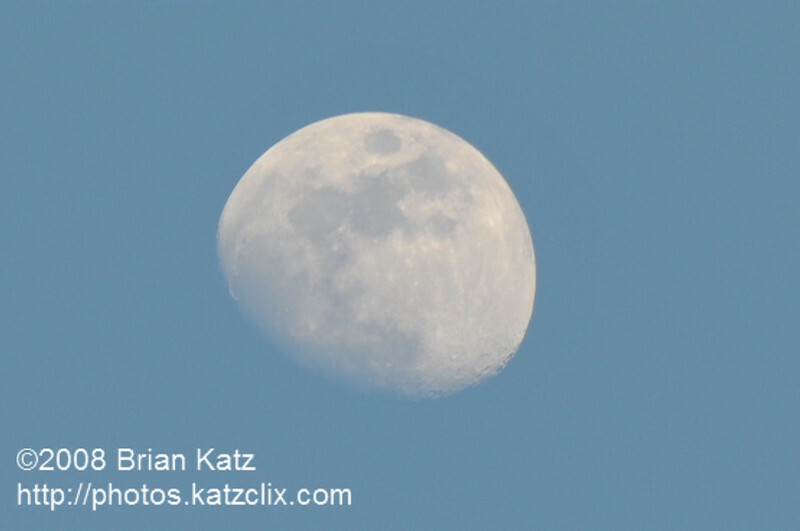 I certainly seem to have a fascination with the moon these days. It is becoming fuller each day and was out quite early tonight, or should I say late this afternoon. On a lark I took this as I got home and it came out much better than I expected. I was surprised at all the detail that I managed considering that I had to crop this shot as it was done at 300mm hand held. Just goes to show you what a D300 with a nice VR lens can do.